According to a BPA study, drivers spend an average of 4 days a year searching for spaces to park. They surveyed 2,000 drivers and found that 44% consider parking to be a stressful experience. But, imagine living in a city where circling streets in an attempt to discover an open space, or driving aimlessly around a parking garage searching for an available stall is a thing of the past. Envision knowing exactly where you can park before you even leave your house. Reduce the time spent with your engine idling and decrease the emissions from vehicles. This is possible with smart parking, a term used to describe the technology and innovations that create a more dynamic way to park. Smart parking works to diminish the resources consumed by searching for parking and helps eliminate the carbon footprint from emissions. 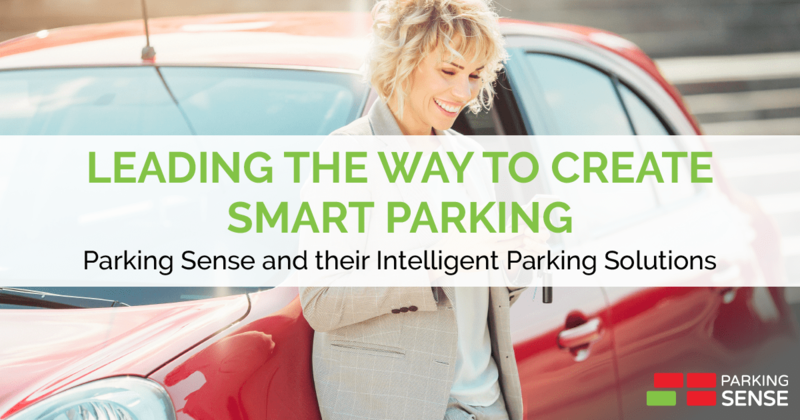 Leading the way in smart parking is Parking Sense and their suite of Intelligent Parking Solutions. Parking Sense and their Intelligent Parking Solutions works to create a smarter way to park and allows for a more efficient way to drive and park. To provide a stress-free experience for both the driver and parking management Parking Sense and their Intelligent Parking Solutions works in three parts. These three parts can be used separately but work best when used together. The first part is parking guidance. LED lights are installed in every stall, which indicates if the space is available, occupied or reserved. Signage at the entrance of the parking facility also shows where the available stalls are. This innovation alone creates a more satisfying way to park. However, when it is used with the second part, the mobile app, it is working to use technology to create a smarter parking experience. The mobile app links with a Bluetooth beacon in every stall that has been outfitted with Parking Sense’s parking guidance. An alert will open on the users’ device that indicates all charges and/or time restrictions and the user can accept the charge and a digital receipt is sent to them. The app also provides a map of all spaces available, leads you back to your vehicle and allows you to add additional charges for longer parking time. Users can reserve parking spaces before even leaving their house. The app works to phase out barriers, which ultimately reduces waiting to exit or enter a parking garage, leading the fewer emissions from idling vehicles. The third part is the asset and data management. Parking Sense offers real-time, accurate data management that continuously tracks all vehicles coming in and out of the parking facility. This allows property management to understand how the garage is operating and creates better insight on how to utilize each space. Understanding occupancy and parking behavior allows for adjustments in rates and increased revenue based on collected data. Parking Sense’s system is not confined to one garage at a time. For example, if there are multiple parking facilities in the city that have been installed with the Intelligent Parking Solutions the mobile app has the ability to indicate where all available spaces are in that city. Not only does the mobile app indicate where the stalls are, but it guides users to available parking spaces, and notifies them of associated charges, rates and time restrictions for all facilities outfitted with Parking Sense. Another incredible thing about Parking Sense and their Intelligent Parking Solutions is that their technology is scalable. It can grow with future needs. The updating technology will not be outdated but instead is future-proof. There will be no need for new builds or new installs in five to ten years because Parking Sense has the technology to move with the future. Even a distant future such as truly driverless cars, Parking Sense technology can link up with these vehicles and work to guide them to their destination. Even with services such as Uber or Lyft, Parking Sense, and their Intelligent Parking Solutions has the technology to interface with the uber app and utilize parking spaces for pickup, dropoff and way stations. This also allows property managers to dynamically adjust rates based on parking stall usage. Parking Sense’s Intelligent Parking Solutions works together to create smart parking. With a faster, more efficient parking system the cities emission levels are reduced, stress from searching for parking is phased out, traffic flows smoother and technology is working with human innovations to create a better driving experience.